This section focuses on people who have done something out of the ordinary. The interviews here feature experienced world travellers, house-sitters, regional experts, pilgrims, volunteers, philanthropists, community organizers, environmentalists and much more. Many of these interviews feature people that have made contributions to their local community or in far-away places and made a positive difference to people around them. In Part 1 of this interview, Bimini Colt already shared with us her past travel experiences and a previous trip to Switzerland that helped save her life which was in peril due to a congenital heart… Read more. Many times before, Facebook has put me in contact with really interesting people, and that is exactly how Bimini Colt and I connected. Early this year, I noticed in her postings that she had been… Read more. In Part 1 of this interview Ingrid Folkers told us a bit about why she decided to embark on an 800 km pilgrimage on the Camino de Santiago and she also touched on some of… Read more. Ingrid Folkers and I connected via Facebook some time ago and we realized we that we both share the same birth country – Austria – and both of us have been living in or close… Read more. Part 1 of this interview already introduced you to Eva Schreiner, a very interesting and adventurous woman from Constance, Germany. Eva and I met while waiting for the bus to Salerno at the Naples airport…. Read more. One of the wonderful things about travel is the people you just coincidentally bump into and have a connection with. One such individual is Eva Schreiner who I met at the airport in Naples and… Read more. One thing I love so much about travel is that it provides a chance to meet some really interesting and cool people. During my recent trip to Switzerland I went on an iconic train trip… Read more. Through the Internet, I often come in contact with interesting people, and Jessie Voigts’ postings on Facebook revealed that she is an expert and a kindred soul who is passionate about travel and intercultural connections. I always keep my eyes open for interesting people,and Krista Scott just absolutely grabbed my attention.I first met Krista 2 days ago on a whitewater kayaking weekend where she accompanied our group to do our… Read more. In so many ways, travel is a metaphor of the life journey that each of us find ourselves walking on. Many of us strive (and some of us struggle) to build a more meaningful life,… Read more. The Internet has afforded us all a great opportunity to explore and learn about the world without ever leaving our comfortable homes. Social media have allowed us to connect with people in far-away countries that… Read more. Today’s social media are a true double-edged sword: they can be a real time waster, an arena for cyber-bullying and online ostracizing and an efficient way to distribute often mundane content to a large network… Read more. Social media has an interesting way of connecting people around the world.Looking through my news feed on Facebook one person’s updates caught my attention and I started to surf to her blog to learn a… Read more. One of the gifts of working on this website is that it connects me to some very exceptional and often inspiring people.In this interview,meet Lainie Liberti,a successful former California new media entrepreneur,who quit her middle-class… Read more. I had a chance to meet Danielle through G Adventures, Canada’s largest adventure travel company. G Adventures sponsored our first Travel Story Contest a few years ago with the fabulous top prize of an expedition… Read more. For several years now I have started to question life as we understand it. For some strange reason, as I get older, things such as acquiring the next gadget or a bigger screen TV have… Read more. As I have gotten older I have found myself getting increasingly disenchanted with my regular rat-race life, and I have actively searched out individuals who have walked a different path. On my website you will… Read more. Maria and I really hit it off so we planned to get together for another “neighbourhood walk and talk” to be able to check out a few more of the merchants along Queen Street East…. Read more. Like so many other good ideas for my Celebrate Toronto article series that starts with the Beach, the name of this interview candidate came from Michael Prue’s office who described Hong Zhao as a true… Read more. Every Canadian neighbourhood is officially represented at three different levels: the municipal, provincial and federal levels. As far as the Beach neighbourhood is concerned I had already had a chance to get to know the… Read more. Toronto’s Beach neighbourhood is a place where many creative and innovative people congregate. It is also a hotbed for enlightened entrepreneurs, people such as Alex Winch who is a leader in solar power technology; Michelle… Read more. Gene Domagala is not only a key volunteer in the Beach, an individual who helps out with all sorts of charities and non-profit organizations – a “utility man” as Bob Murdoch from Centre 55 calls… Read more. In my neighbourhood portrait about the Beach, I definitely wanted to include Sandra Bussin, City Councillor for Beaches / East York, who has represented the Beach for the last 18 years. After my January 25… Read more. Michael Prue’s office has been a great source of interview contacts and connected me with some very unique people. On this cold February morning I made the trek into the Beach to meet another one… Read more. Every year one entertainment event in Toronto’s Beach neighbourhood attracts huge worldwide attention: the Toronto International Beaches Jazz Festival. Lido Chilelli, a local entrepreneur, is the person who came up with the idea and who… Read more. Toronto’s Beach community is not only a beautiful waterfront neighbourhood with mature trees and historic houses, it is also one of the favourite places of residence for a great many artists. I was glad I… Read more. John Dowding and I first met a few days ago at Spiaggia Trattoria where I was doing an interview with the owner, Mary Lee. Right in the restaurant she connected me with John who was… Read more. One person I had heard a lot about from different sources while searching for interview candidates about Toronto’s Beach neighbourhood is Marie Perrotta, the Founding Director of the Pegasus Community Project for Adults with Special… Read more. One person who has been extremely supportive of my “Celebrate Toronto” project is Provincial Member of Parliament, Michael Prue. 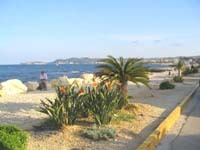 He and his staff have connected me with various individuals in the Beach who are good… Read more. Over the last couple of years I have had the opportunity to interview many interesting personalities: tourism experts, authors, philanthropists, and enlightened entrepreneurs. For my article series about Toronto’s Beach neighbourhood, I have specifically been… Read more. For my Celebrate Toronto articles series I am continuously searching for people who are making positive contributions in the neighbourhood and building the community in unique ways. During my brief tour of the Beach, Gene… Read more. When I recently talked to several people about my Celebrate Toronto project, which starts with an article & interview series and a photo exhibition about the Beach, about 4 or 5 different people concurred that… Read more. One of the lessons travel has taught me is to not only get to know the beauty of the foreign places, but to appreciate the uniqueness of home. The more I travel, the more I… Read more. Our recently concluded Travel Story Contest was a resounding success. We received over 300 stories from people all over the world about their experiences in the most diverse destinations. My team and I spent hundreds… Read more. Interesting people are everywhere. I met Ben Viccari a few weeks ago at the initial screening of a documentary called “Small Places – Small Homes”. The documentary profiled the life of four immigrant families who… Read more. As you know by now, www.travelandtransitions.com has dedicated itself to building bridges between people of different places and different backgrounds. There are many organizations and individuals out there who believe in the same cause, and… Read more. Paul’s story is an interesting one since it combines extensive world travel and an interesting life journey – a deliberate switch from a successful career in the heart of Hollywood to a quieter life in… Read more. During my stay in Cuernavaca I had the opportunity to meet several people from different community organizations that are involved in helping local disadvantaged people. Pablo Buitron is the General Coordinator of Fundacion Comunidad, an… Read more. My search for outstanding people who do unusual and positive things is an ongoing thing. Danielle Weiss from G.A.P Adventures recently put me on to another interesting individual: Richard Belliveau, an international traveller, adventurer and… Read more. My good friend Sue Kenney left the corporate world a few years ago and went on a pilgrimage on the famous Camino de Santiago, a truly life-changing event for her. Since then Sue has written… Read more. The current controversy over the Danish cartoons depicting the Prophet Mohammed has ignited my interest to educate myself more about Islam as I realized that there is so much I don’t know. Ignorance generally breeds… Read more. One of the topics that I am fascinated with is the cross-cultural adjustment process. As an Austrian immigrant in Canada I know that even a move from a Western European country like Austria to a… Read more. My dentist, Dr. Rajiv Arya, and I have the most amazing conversations while he examines the precarious state of my molars. During my dental appointments he has been telling me about his interesting trips to… Read more. Danielle Weiss is the Sustainable Travel Coordinator for G.A.P Adventures, Canada’s largest adventure travel company and winner of many distinguished entrepreneurial and travel industry awards. I am also happy to say that G.A.P is also… Read more. History can be a fascinating topic. Personal family history, particularly in the case of German families, bearing the historical legacy and burden of the Second World War, can be even more so. My brother, who… Read more. Cross-cultural connections and understanding foreign cultures has been a fascination and ambition for me for a long time. In my full-time business, Textronics Communications, a full-service language and translation service business, I have a chance… Read more. The work on this website continues to allow me to connect with all sorts of interesting people. Some time in September my brother called me from Austria and told me that he had read about… Read more. Scott contacted me about a week ago after having come across this website. We realized that we shared a lot of common philosophies and emails started flying back and forth furiously, capped off by a… Read more. I met Pablo at the Canada-US Servas Conference that was held at the beginning of August in Vancouver where I had a chance to spend about an hour and a half with him to find… Read more. Some time in July I was watching our local TV station, CityTV, and I caught a part of a report about a Toronto couple that had remortgaged their home to start a non-profit community development… Read more. Robert and Bette were among the people I had a chance to get to know at the Canada-US Servas conference which was held in Vancouver from August 5 to 8, 2005. At 53 years of… Read more. When I first met Mary Jane at the recent Canadian-US Servas Conference in Vancouver, her youthful radiance struck me. I thought she might be in her early fifties, and then she revealed that she is… Read more. Here is part 2 of Mony’s story who went from being a Microsoft sales executive to completing a pilgrimage on the world-famous Camino de Santiago, which made her decide to complete a 5000 km long… Read more. 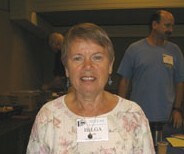 I had a chance to meet Helga recently at the Servas Conference that I covered in Vancouver. 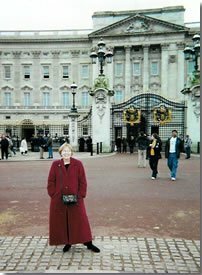 Once you read Helga’s story you’ll realize why she has been included in a recent book called “Women… Read more. One of the absolute pleasures of working on this website is that I am able to connect with some phenomenal people. Individuals who have done unusual things, and in many cases made a contribution to… Read more. In the 16 years that I have known my friend Mario I have heard many different tales of his world travels and he is one of those people who have lived, worked and hitchhiked through… Read more. Martina and I play tennis in the same league and funny enough she even looks a little like the other Martina (Navratilova), just prettier. Needless to say, some of her shots are quite like the… Read more. I have written about my dentist before who is a really cool guy. Not only is he a dentist, but he is also a practicing lawyer. More than that he is also a world traveller… Read more. My friend Carol, a wonderful and unique woman in her early 50s, is a high school math teacher, a gifted painter, a very decent piano player, and what else – a world traveller. I only… Read more. I am very happy to be able to present to you Sue Kenney, a very fascinating individual, a consummate athlete and master rower, a pilgrim to one of the world’s biggest pilgrimage destinations – Spain’s… Read more. In one of my searches on the Internet about interesting travel websites I found a site on sea kayaking in the Adriatic. I contacted the webmaster to do a mutual link exchange and upon further… Read more. My good friend Leslie recently had a chance to go on a trip to Antigua. Although on a package deal, she managed to get in a few adventures off the beaten track and explore the… Read more. Well, I am really excited to be able to present to you my first interview: Barbara Winter, best-selling author and creative entrepreneur extraordinaire. I am always fascinated by people who manage to combine their artistic… Read more. When your eyes are open you tend to find wonderful and extraordinary people right around you. My dentist, Dr. Rajiv Arya, is one of those indivdiuals. Whenever I go to have my teeth checked we… Read more. A little while ago I mentioned that I stumbled across Verge Magazine by accident and that I planned to interview its editor, Jeff Minthorn. Jeff Minthorn in Antarctica. 1. Tell us a little bit about… Read more. I had an opportunity to meet Karla last year on one of my trips to Spain. My interview preview will give you a bit of background on our meeting. Karla is a fascinating individual, a… Read more.